This time of year charitable groups step up their appeals for donations, including the donation of vehicles, such as cars, trucks and boats. Donating a vehicle may seem appealing for a couple of reasons. First, you support a worthy cause without actually writing a check. Second, it solves the headache of what to do with an older vehicle that you think may be hard to sell. You rationalize the donation with the thought of a nice tax deduction that will bring you money on the back end. Once upon a time that might have been true but it's no longer the case. Tax laws have changed so that you cannot deduct the fair market value of the car. Instead, you must wait until the charity sells the vehicle and tells you in writing exactly how much they received. "Until 2005, donors could simply deduct the 'fair market value' of the vehicle, but today's rules are much more stringent, and it's nearly impossible to deduct the full market value," said Edmunds.com Consumer Advice Editor Carroll Lachnit. "Understanding the proper procedures can help donors get the most out of their deductions and -- more importantly – avoid penalties if audited." The tax benefits of such a transaction may turn out to be quite small. For example, if the charity ends up selling your donated car, with a fair market value of $2,000, for $800 then $800 is what you can deduct from your income at tax time. But how much is that going to mean at tax refund time? Not very much. Let's assume you are in the 28% tax bracket – an $800 deduction will give you $224 back. If you are in the 10% bracket, it only yields $80. Careful! The ads don't tell the full story. If you claim a donated vehicle on your tax return, you also have to itemize deductions. That requires an extra form and, if you pay to have your taxes prepared, will increase that cost. More importantly, if the total amount of your itemized deductions – including the car -- does not exceed your standard deduction – what taxpayers who don't itemize receive -- then you could lose money by itemizing. Another important consideration is the charity itself. It may be a worthy cause but it must also be a qualified charity that has been approved by the IRS as an exempt-status or 501(c)(3) organization. Many religious organizations also qualify, even though they aren't required to file for 501(c)(3) status. That issue should be nailed down before moving forward with a donation. 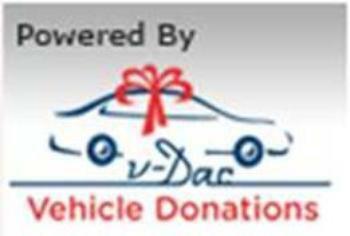 If you do decide to donate a vehicle to charity, keep good records and create a comprehensive paper trail. Claiming tax benefits for a donated car requires a lot of documentation, whether the car is junked, sold at auction or given to a charity's client. Keep all these papers or electronic files because you'll need them at tax time. The IRS has prepared a guide that can help you through the process. Suppose the fair market of your vehicle is $2,000. Instead of trying to sell it for that amount , put it on Craigslist or other online marketplace priced at something lower, making it an attractive purchase for someone who needs an inexpensive car. Right away you're helping someone. Suppose you get $1,500 for the vehicle. Keep half and donate the remaining $750 to your favorite charity – perhaps even one that isn't equipped to accept donated vehicles. You've accomplished three positive things: you've realized more from your unwanted vehicle than you would have by claiming a tax deduction; the charity gets a nice contribution without having to auction off a car; and a consumer who needs a good used car gets a bargain. When should you itemize deductions?